All our professionals at Bolton Family Dental Centre maintain the highest levels of accreditation and pursue ongoing education to stay up to date on the latest trends in dentistry. We can help with all your dental needs. Dr. Porretta was born in Toronto and raised in Woodbridge, Ontario. She has long history in the dental field. She has worked as an Office Manager, and as a clinical Dental Assistant. In 1993 she became a Dental Hygienist through ECC in Buffalo, NY. She began Dental School in 1995, graduated from Boston University in 1999, and was the recipient of the William Cummings Award. Dr. Porretta is very active in the pursuit of continuing education. She travels throughout North America improving her knowledge and expanding her skills. 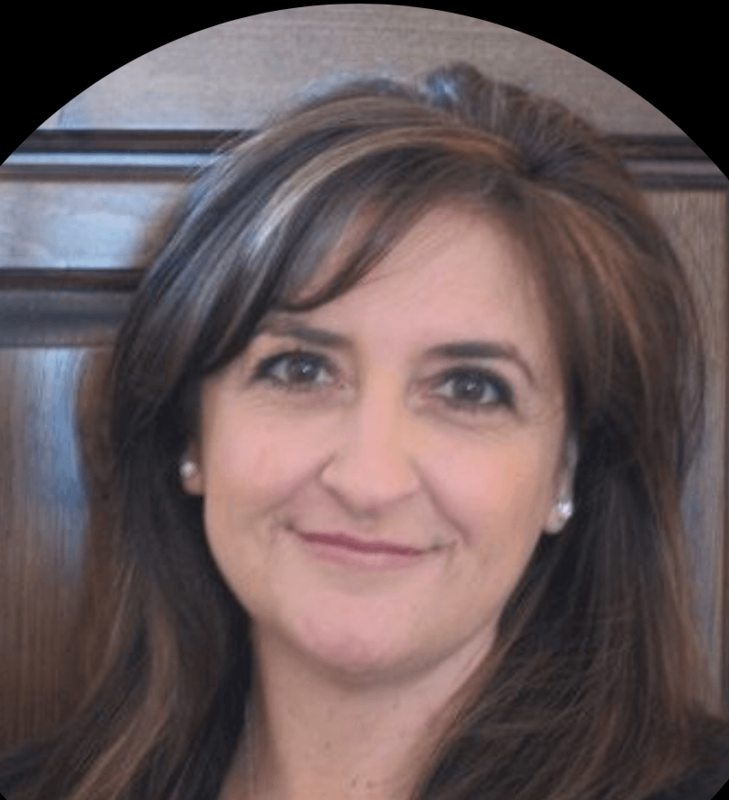 In addition to General Family Dentistry, Dr Porretta has incorporated CosmeticDentistry, General Practice Orthodontics, Implantology and Laser Assisted Dentistry into her practice. Dr. Porretta remains committed to providing modern dental care in a relaxing, warm setting. Dr. Cakmakci joined the Park Dental team in February 2015 after successfully completing her National Dental Examining Board of Canada (NDEB) Equivalency Process on her first attempt, allowing her to bring her experience to Canadian practices. Dr. Cakmakci and has been practicing dentistry for more than 22 years in Canada and abroad after graduating with honours from Marmara University, Dentistry Faculty of Istanbul. 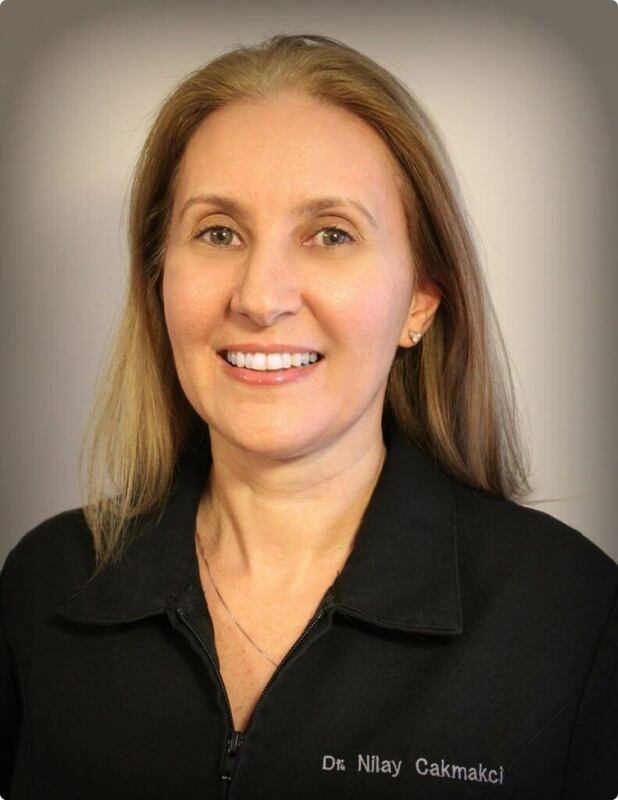 She is a professional and dedicated practitioner who is proficient in restorative techniques, prosthodontics and loves working with children. She welcomes patients of all ages to our clinics and provides them with compassionate and professional service. With a passion for helping others, Dr. Cakmakci has participated in multiple volunteer dental missionary trips around the world. Most recently she participated in a trip to Guatemala, during which she treated patients with low or no income. She shares what an amazing experience it is to help so many people receive the most basic dental care… something we often take for granted here in Canada. Dr. Leung was raised in Toronto where he attended Upper Canada College for 11 years. Afterwards, he attended New York University, where he received a degree in Biochemistry. He next moved to Philadelphia where he attended the University of Philadelphia School of Dental Medicine receiving his Doctorate in Periodontic training. Dr. Leung is a tremendous asset to our team, helping patients with complex gum and jawbone issues right here in our office. 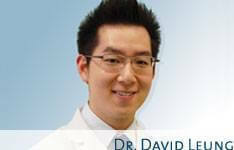 A great communicator, Dr. Leung makes complicated dental issues easy to understand. Dr. Leung enjoys cooking, art galleries and museums, and playing baseball in his spare time. Dr. Bart Konarski’s philosophy of practice is to provide orthodontic care at the highest level in a fun, caring, and patient-centered environment. He loves working with patients, and getting to know them and their families while providing orthodontic treatment that puts the patient first. Dr. Konarski was born in Toronto and raised in the Brampton area. Growing up, he played many sports but concentrated on basketball and swimming, even achieving junior national status as a swimmer. He graduated from Notre Dame Secondary School in Brampton, where he was a member of the honor roll and part of the senior basketball team. Dr. Konarski completed his Bachelor of Science with high honors at the University of Toronot at Mississauga. His desire to help others and interest in health sciences motivated Dr. Konarski to complete his Doctorate of Dental Surgery (DDS) at the University of Toronto, faculty of dentistry. Working with patients first-hand throughout dental school was an amazing experience and inspired him to continue his education in orthodontics. Dr. Konarski completed his specialization in orthodontics at the Vanderbilt University Medical Center in Nashville, TN. 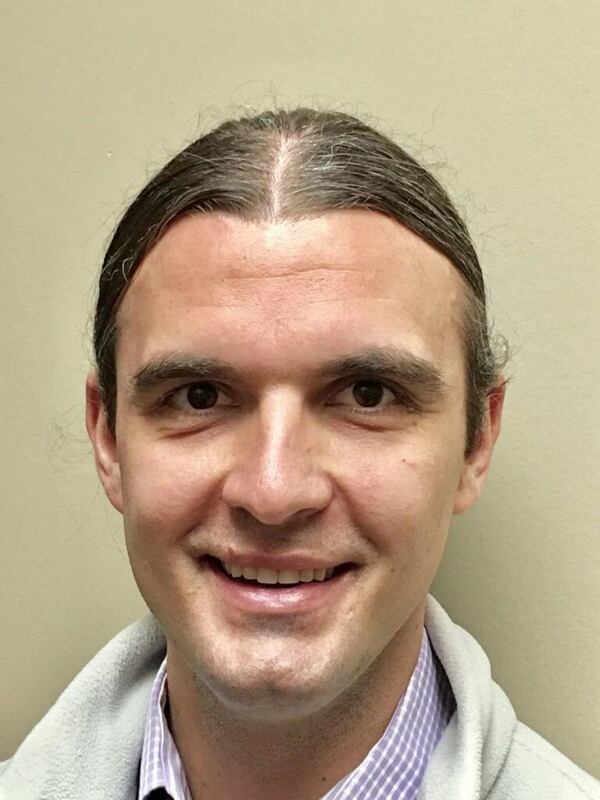 In addition to orthodontics, Dr. Konarski enjoys spending time with his wife, Avelene and their newborn son.He also enjoys playing sports, including golf, basketball, tennis, and Frisbee, and walks with his dog, Murphy.Dr. Konarski truly loves working with people of all ages and helping them achieve their goal of a beautiful smile. Victoria came to help us on weekends when she was in high school, referred by an employee of ours, in July 2009. She has been with us ever since, except for when she went to College and received her Certified Childhood Educator (Sheridan College, 2014). She returned after that and knew that she wanted to work in our dental office as she loved it. She also received her Dental Treatment Coordinator Certificate from George Brown College. 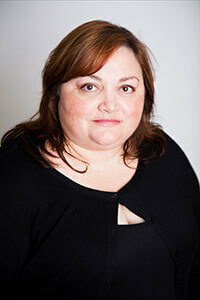 She is very familiar with all the patients and has the answers to most of your questions. If she doesn’t, she will find them! Victoria is newly engaged with a new home on the way. Her spare time is spent with her fiance, family, and killing it at her regular soccer games. Josie has joined our office in 2017 and comes to us with a wealth of knowledge in the dental field. 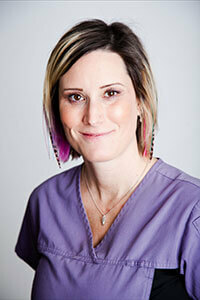 She has many years of experience in all aspects of dentistry. 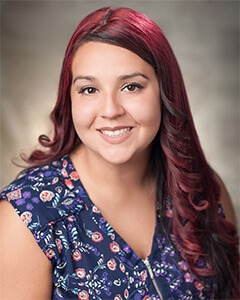 Her easy-going, kindhearted nature makes her very approachable to answer any questions or concerns that our patients may have about their treatment. Her sense of humour brings great enthusiasm to our office and has been a great asset to our team. When she is not working, Josie enjoys spending time with her family at the cottage and travelling to new places. 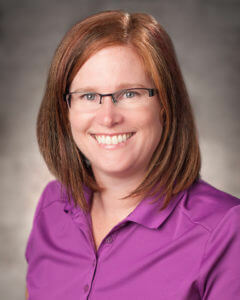 Colleen is our other full-time Hygienist, and has been with us since June, 2002. She is thorough and conscientious in her work. Pursuing continuing education is a passion for Colleen. When not caring for her patients, Colleen cares for her family including two daughters who love summer camping. Jennifer worked as a dental receptionist for 3 years, then graduated from George Brown College in 2001 from the Dental Assisting Program, Level 2, and has been with us since August, 2008. 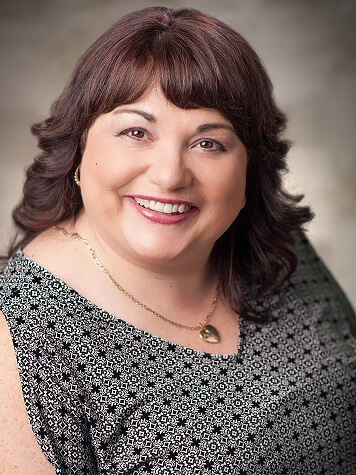 She works chairside with Dr. Porretta, and with a long history of dental experience, brings an enthusiastic attitude and warm interpersonal skills. She is always eager to explain the “whys” and “hows” of any procedure to help give patients full understanding. Jennifer was raised in Bolton where she feels most at home with her husband and two beautiful (and active) boys. Jen graduated from Everest College in 2009, and has been with us since June of the same year. 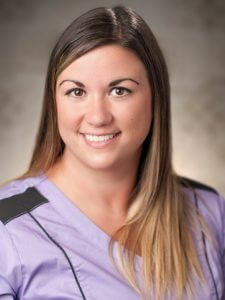 She works primarily with Melissa caring for our orthodontic patients. Together they make a great combination. Jen has a natural talent for working closely with people, and helps make appointments fun. She is always at the ready to help out in any way. Jen enjoys time with family and friends on her weekends off. Franca brings to our office her experience in the banking business. Her easy manner with people makes her a great part of our team. She makes sure our office is running smoothly like clockwork. In winter, Franca plays women’s hockey, a sport she shares with both her daughters. 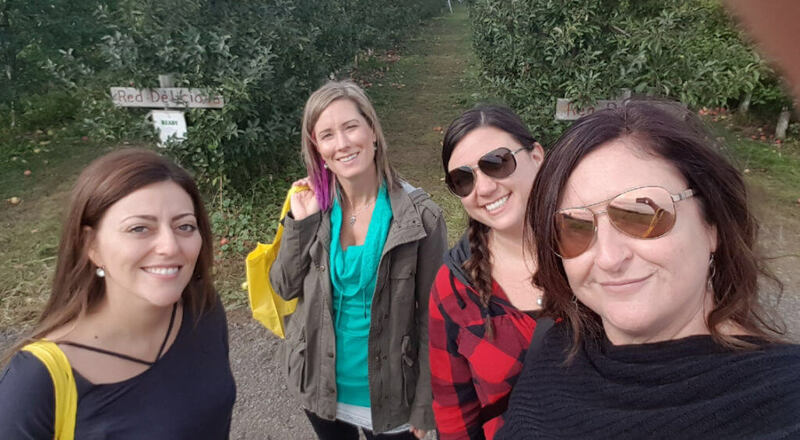 When not traveling with her daughter’s team, she enjoys weekend time at home with her husband and the girls.